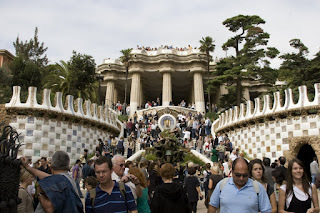 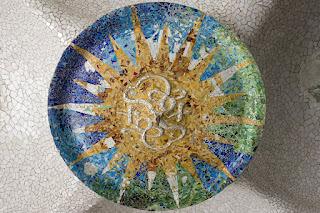 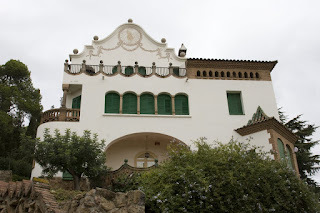 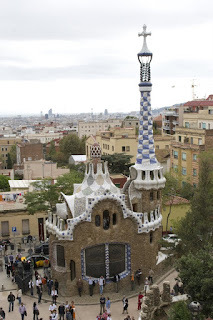 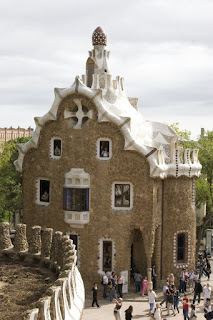 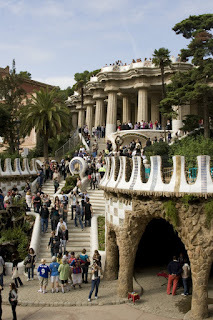 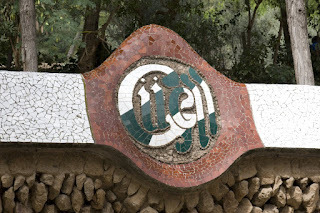 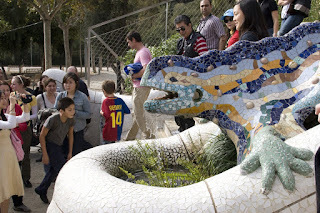 Today I visited Park Güell - another of Gaudi's masterpieces. 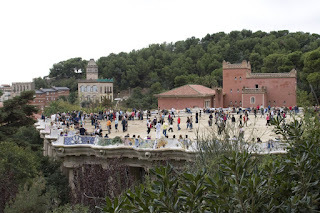 To reach the park I took the metro to Lessepo and walked from there a bit more than a kilometer. 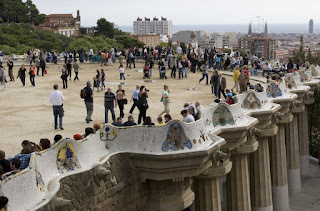 I first walked to the calvary at the top of the park from where I had a nice view on the city. 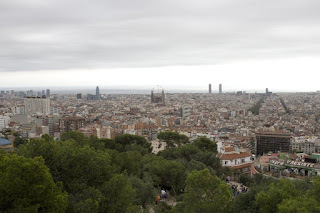 At some distance you can see Sagrada Familia and the sea in the back. 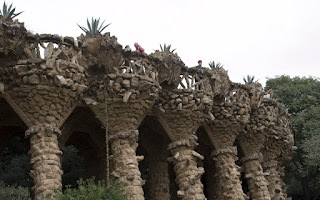 I then explored the pathways in the park and walked by Casa Trias and the viaducts. 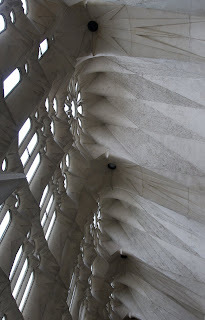 Unfortunately, the limits of my lense showed very cleary today - I would have needed a better wide angle. 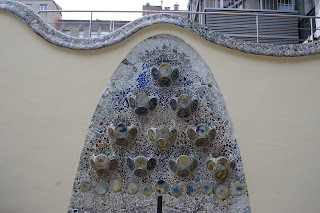 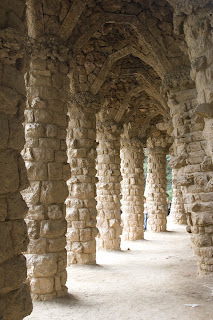 The Rosary pathway brought me to the center of the park where Gaudi built a large square with benches. 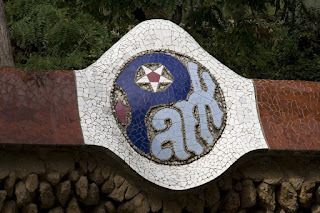 to the main entrance of the park. 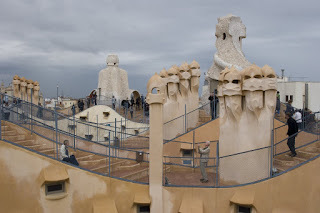 After having prepared the slides for my first presentation I spent the afternoon sightseeing. 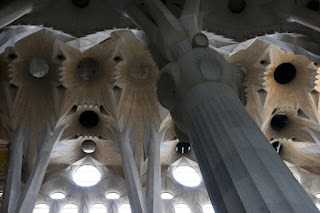 I first walked from my hotel to the Sagrada Familia, which was originally designed by Antoni Gaudi. 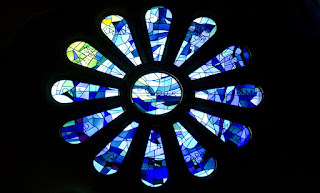 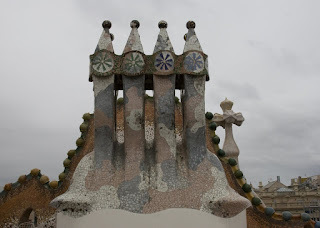 The church is Gaudi's major work and he spent the last 12 years of his life entirely on the Sagrada Familia. 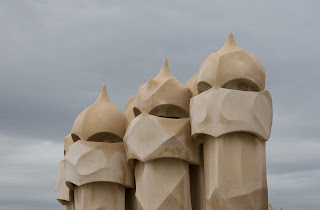 The Passion facade has been devised by Gaudi to reflect the suffering of Christ (The Passion). 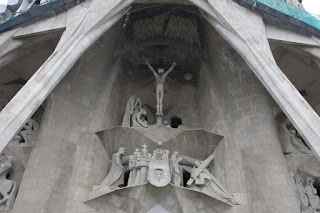 The scenes of the Passion facade follow an "S" shape starting with the Last Supper and ending with the Burial. 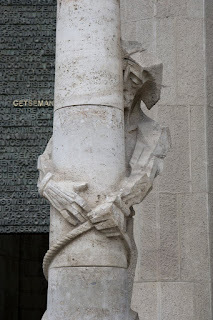 This picture shows Judas kissing Jesus; the serpent on the right is a symbol of the evil. 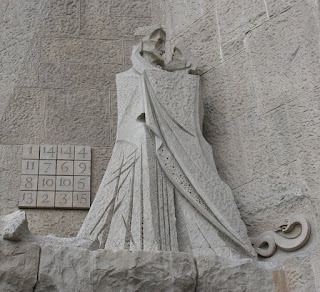 The cryptogramm on the left contains 16 numbers which can be combined in 310 ways always resulting in a sum of 33, the age of Christ when he died. 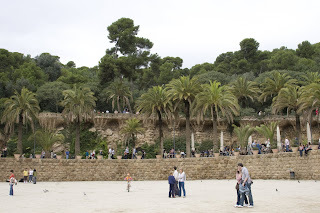 This picture shows the crucification of Christ (topmost scene) and Christs second falter on the Calvary path (secene at the bottom). 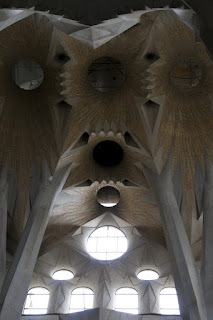 The interior of Sagrada Familia is not less amazing as the Passion facade. 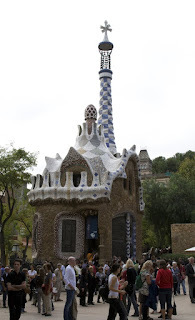 After the visit of the Sagrada Familia I was quite hungry and looked for some nice place to have lunch. 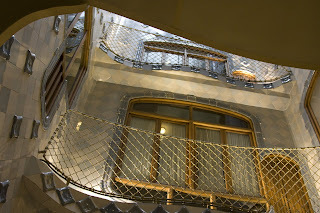 I continued then with a visit of Casa Mila (also known as La Pedrera), which provided again great insights into Gaudi's work. 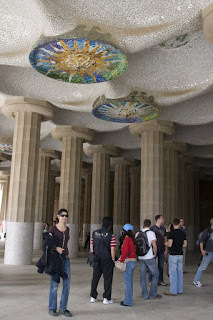 The building was declared an UNESCO world heritage site in 1984. 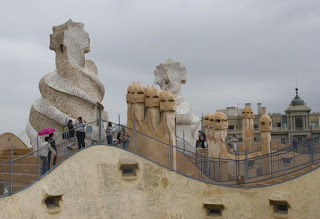 I was especially facinated by the sculptures at the roof of La Pedrera. 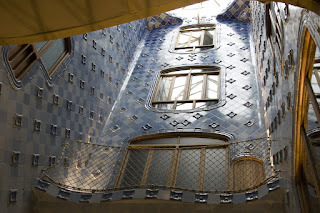 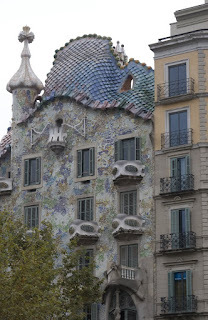 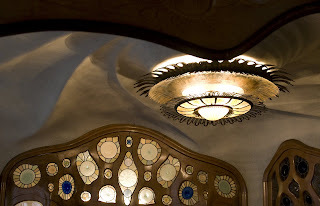 My sightseeing tour ended with a visit of Casa Battlo which belongs since 2005 to the UNESCO world heritage and is one more of Gaudi's masterpieces.